Our annual complimentary market report available to all members, ensuring you are the best-informed individuals in the industry. 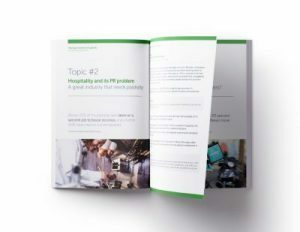 Examining both the UK and global performance within the hospitality sector, this 64-page report provides a concise summary of annual facts and figures covering foodservice, hotels, tourism and human resources. The data is accompanied by expert commentary with an eye on what we can expect in 2019. Non-Members – Purchase a copy of the report for £49 from our shop or join the Institute of Hospitality. The Institute of Hospitality acts as a vital bridge between academia and industry. 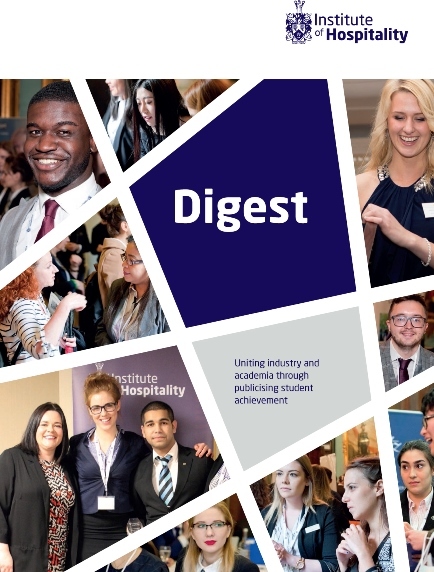 Following the successful publication of our inaugural 2017 Institute of Hospitality Digest (IHD), we are now pleased to be able to publish our 2019 (2nd Edition) annual Digest, showcasing students research projects, from our partner Education Membership Scheme colleges and universities. The aim of the Institute of Hospitality Digest is to collect the very best academic research and share it with the Institute’s wider community of operators and managers to benefit our industry at large. We would like to thank all the students that took part in this year’s incentive and also give special thanks to the students whose work has been successfully published as well as the Institutions that supported them. To find out more about incentives like this one and other benefits available to colleges and universities, that are part of our Education Membership Scheme, contact Tracey Appleby, Professional Development Executive or call 020 8661 4930. 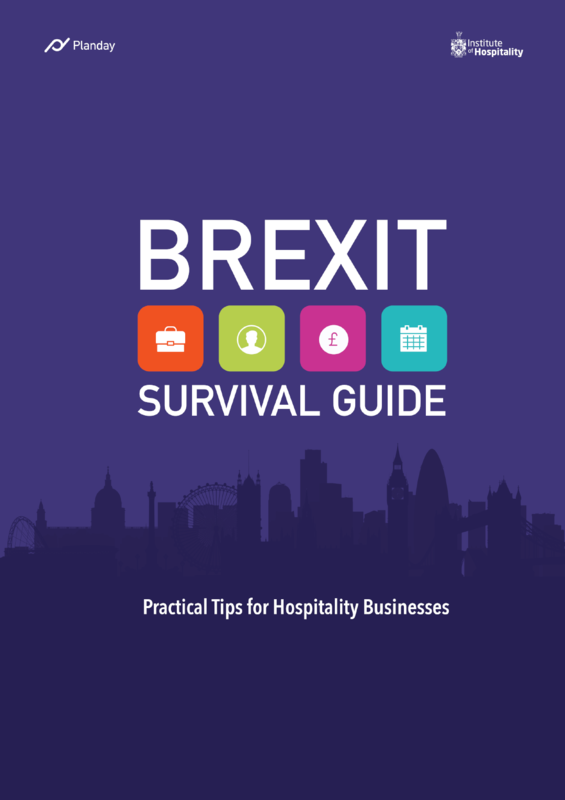 Following the release of the Brexit survey results published in June 2018, Planday has released its ‘Brexit Survival Guide’, which is packed full of advice for all hospitality businesses. 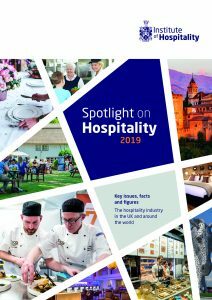 It has comments and thoughts from some of the most influential people in the hospitality industry including our Chief Executive, Peter Ducker. Available to both members and non-members, download your free copy today. The Government’s Food Waste Reduction Fund is awarded as new research from WRAP shows a significant increase in the amount of surplus food redistributed by UK charitable and commercial organisations. Read their published report. Published by WRAP, this document sets out to clarify the differences between the materials used to make plastic packaging, the way plastics can behave and, the terminology used to describe plastics. 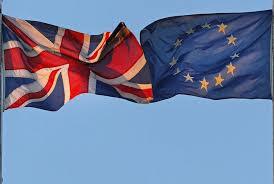 The Home Office has launched a toolkit to help employers communicate the EU Settlement Scheme to their staff. The toolkit has been designed to help provide clear and consistent messaging to a wide range of audiences including: EU employees and their families, senior leaders, HR colleagues and line managers of EU staff. Videos / animations – a ‘how-to’ animation, ‘people like me’ video. The Gig Economy & Hospitality. A future to prepare for. The employment landscape is evolving, with candidates from all generations demanding flexibility in their working patterns and seeking routes to achieve that goal. Roles at all levels in the hospitality industry are tailor-made for gig working, and the rise of this trend seems unstoppable, with new platforms available to access gig roles. Become an Enterprise Adviser and promote hospitality careers to young people in your area. The Enterprise Adviser Network pairs business volunteers with schools/colleges to build employer engagement plans. The Network creates powerful, lasting connections between local businesses and the schools & colleges in their area. The Network is delivered locally in partnership with the 38 Local Enterprise Partnerships across England. These networked schools are able to motivate young people, support them in making informed choices about their future and help them achieve their full potential, both in and out of school. The EAN looks for and matches senior leaders in business (including the self-employed) who volunteer as Enterprise Advisers. As an Enterprise Adviser, you will work with a local secondary school and its careers team and governors to help the school develop and enhance their careers plan. Use the guide to find out more. High Speed Training has released a new Food Hygiene Ratings report analysing data from a quarter of a million food businesses across the UK, to investigate how regions, towns and cities compare nationally. The Yorkshire based elearning provider took an in-depth look at the Food Hygiene Rating Scheme and aggregated Food Standards Agency data to provide an overall picture of the nation, complete with interactive map and league tables. UK Government is supporting innovation to help small businesses save energy and costs.